If a tree falls over in a forest but no-one sees it happen, does it matter? If an insect species (in that same hypothetical forest) goes extinct but science had never described it, will anyone notice it’s gone? If climate change means the dominant tree species in that forest is likely to be unable to cope in twenty years time, should we give up on the forest because the local managers can’t do anything about climate change? The answer to all these questions (like so many questions in conservation science) is ‘it depends’. Prior scientific knowledge inspires ecological research, hypotheses and debate but it’s rarely used to explicitly formulate predictive models. Bayesian statistics provide a formal way to include informative priors and evaluate their influence on parameter estimates. In this study, Tara Martin and colleagues use case studies of the influence of overabundant deer on the abundance of bird species on the Gulf Island, San Juan and Haida Gwaii archipelagos of western North America. They demonstrate the utility of informative priors and Bayesian modelling to determine the consequences of overabundance. Temperate woodlands in Australia have been disproportionately cleared following European settlement. Biodiversity decline in such systems may be reversed by restoring native vegetation on agricultural land. However, rebuilding functioning habitat will require an understanding of what determines the distribution of species in existing habitat. 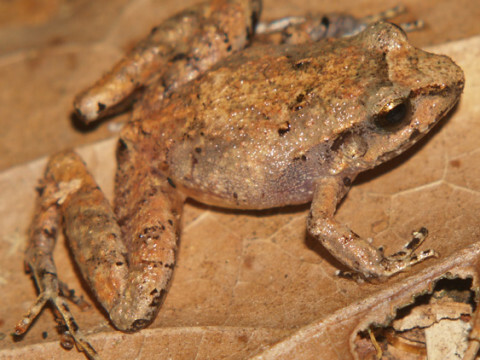 In 2013, the IUCN lists 20,930 species as critically endangered, endangered or vulnerable. That number was 10,533 back in 1996/98. Be careful when playing with fire. It’s a message politicians know too well and after recent catastrophic wildfires in different parts of Australia they want to be seen as actively responding to the threat. One of the common responses is to raise the level of prescribed burning but what are the benefits and costs of this strategy? I cannot change; the courage to change the things I can; and wisdom to know the difference.” It’s a great piece of advice for any conservation manager struggling to deal with multiple threats with inadequate resources. 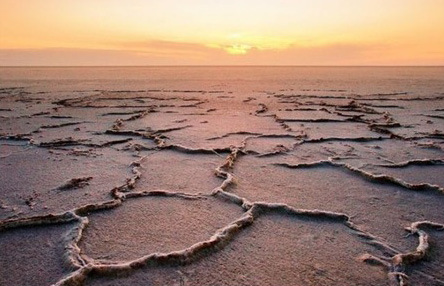 However, in an age when our most important (and much loved) ecosystems are under growing pressure, we’d like to suggest that true wisdom lies not only in knowing the difference between the things we can and can’t change, but also understanding how these things interact. Late last year the Australian Institute of Marine Science put out a rather scary report on the state of the Great Barrier Reef. It said the Reef has lost half its coral cover in the last 27 years! The loss was due to storm damage (48%), crown of thorns starfish (42%), and bleaching (10%). Basically, the big storms are coming more frequently than the reef can absorb, higher water temperatures are causing widespread coral bleaching and rampaging swarms of crown of thorns starfish are eating up huge areas of coral. 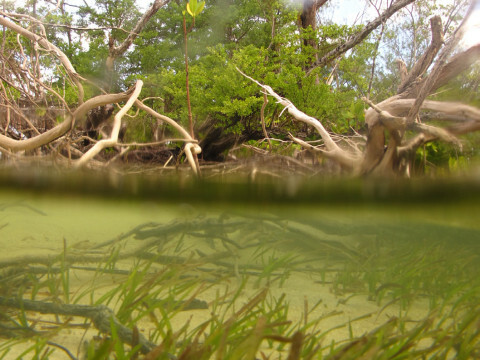 Like many important ecosystems, seagrasses will be hit hard by climate change. Some of those impacts relate to rising sea level. New research by a multi-disciplinary team at the University of Queensland has found that local action that improves water quality, and specifically its clarity, might go some way to compensating for rising sea level. 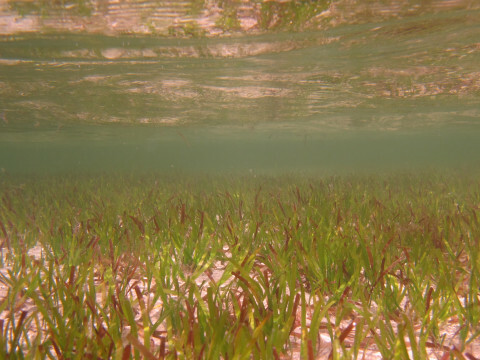 Seagrasses are marine plants that live in shallow coastal seas. They provide us with a range of valuable ecological services including the provision of habitat for fish and invertebrates, and food for turtles and dugongs. “1978 was a good year; I wasn’t earning much but I felt happier.” That’s what your average global citizen might say after reading Kubiszewski et al. 2013. Standard economic indicators like gross domestic product (GDP) are useful for measuring just one limited aspect of the economy—marketed economic activity—but GDP has been mistakenly used as a broader measure of welfare. A more comprehensive indicator would consolidate economic, environmental, and social elements into a common framework to show net progress. Dbytes is EDG’s internal eNewsletter. It gets sent to members and associates of EDG each week, and consists of small snippets of information relating to environmental decision making. They might be government documents, research articles, blogs or reports from other research groups. Here are five bytes from recent issues.